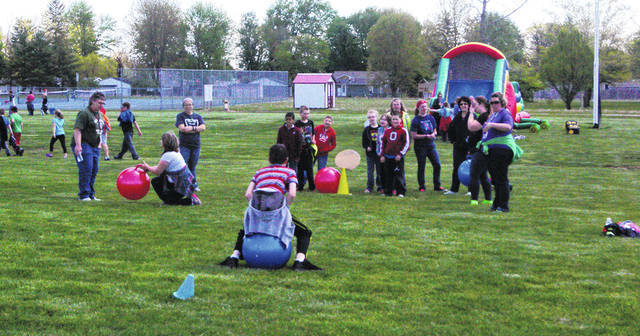 BUCYRUS — The Bucyrus Elementary School Parent-Teacher Organization (PTO) Field Day for students in kindergarten through fifth grade was Friday, May 11. This daylong event features inflatable bounce houses, tug-o-war and other games designed to not only be entertaining, but also to engage students in physical activity. Many of the activities and games are developed by the Elementary School physical education team of Karla Schiefer and Becky Yetter. This is an opportunity for Bucyrus Elementary students and staff to enjoy a day of fun and games. The day is sponsored entirely by the Elementary School PTO and will feature many different activities for the students.